The primary goal of NewLink’s CEO, Roby Hackney, is adding value for our clients. As the leader of our asset management and leasing teams, Roby understands that efficient, intelligent, and strategic property management is critical to the success of an investment in commercial real estate. After spending more than a decade successfully managing third party investments in retail commercial real estate, NewLink’s CEO recognized that property management companies have not kept pace with the changing industry. Roby’s decision to build NewLink with his partners was born from the belief that excellent property management can distinguish itself by refocusing on personal relationships – offering the traditional services while acting as a bridge between the client, the tenants, and the community. 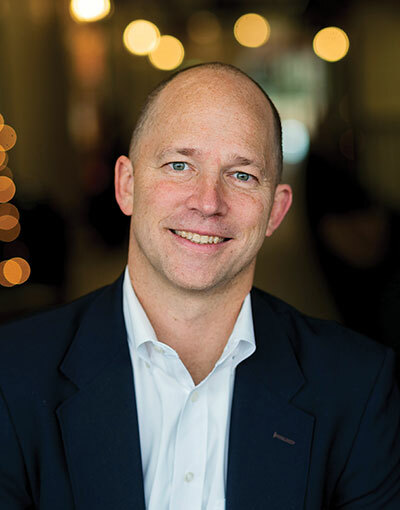 Roby’s interest in commercial real estate began as an accident at the University of Virginia School of Law where a commercial real estate course planted a seed that grew deep roots. After law school, Roby practiced corporate and real estate law in Norfolk Virginia, while investing in his own small commercial projects. In 2007 Roby’s interest led him to Richmond to work with his brother. Together they built an investment company that would become Hackney Real Estate Partners. Through countless negotiations with tenants, vendors, lenders, buyers and sellers, Roby has strengthened and expanded a skill set that makes him an invaluable asset to NewLink’s clients. Roby is married to his law school girlfriend, and together they have four young sons. When he’s not working or parenting, you might find Roby fishing in the Chesapeake Bay or volunteering his time as a board member for the Science Museum of Virginia Foundation.